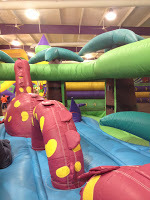 A review from my brother-in-law, Jonathan, who lives in Cambridge, MA - My three-year-old son Alex and I have been to the Monkey Joe&apos;s in Camp Hill at least three times, and every time it was well-staffed by attentive "refs" who made sure that the older kids were safe around the little kids. The price is very reasonable (less than $10 for as much time as you want) Alex had a ball when he was two just jumping around and going down the small slides, and as he gets older and braver there&apos;s always a new challenge or bigger slide to try. I can&apos;t see Monkey Joe&apos;s ever getting old for Alex. So, it&apos;s an easy sell for the kids. 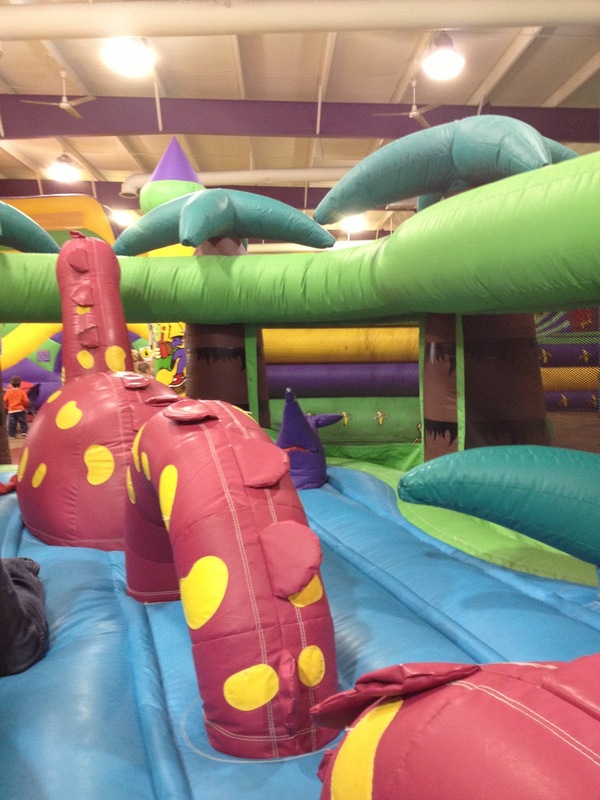 The true brilliance of Monkey&apos;s Joe&apos;s comes in the fact that at the same time they tire out the kids, they provide a rest for the parents. There&apos;s a large area for the parents with comfortable leather chairs, a big screen TV, and a couple computers. But I&apos;m guessing you&apos;ll have more fun watching your kids have fun. They do have a video game section so if you take your kids here to get exercise and have fun, it might be frustrating to have to keep steering them away from video games. They do have a concession area so you can&apos;t bring in your own food and drinks. If you prefer healthier snack options you should plan on feeding your kids beforehand.